Not only are Professor MacFarlane’s lectures intellectually stimulating, I’ve also found they help me to fall asleep when I need to take a nap. Throughout my life I’ve had various battles with sleep. Fortunately, I remain the long term victor although there have been plenty of skirmishes, often lasting days, in which I have been defeated miserably. The pattern I’ve noticed is that most of my sleep difficulty arises from a change in my environment or added stress in my life. A potential panacea to those rough patches has been napping. The biggest challenge I have with napping though is that up until recently I was at the mercy of my body. I would often find myself ready to fall into a much needed rest at an absolutely inappropriate time such as when I am driving or sitting in an important meeting. By the time I did find suitable conditions, I would no longer be able to fall asleep. 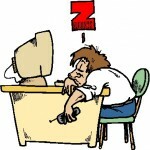 Of course as soon as I had given up on falling asleep I would return to my desk only to be tired again. There is a word in German for situations like this, Teufelskreis (devil’s circle) which I think does more justice than the English version, vicious circle. Over the summer I made a major breakthrough which I would like to share. It was one of those days that would have been uncomfortable had there not been a steady breeze. In short, the weather was perfect, a steady breeze blowing into my bedroom. 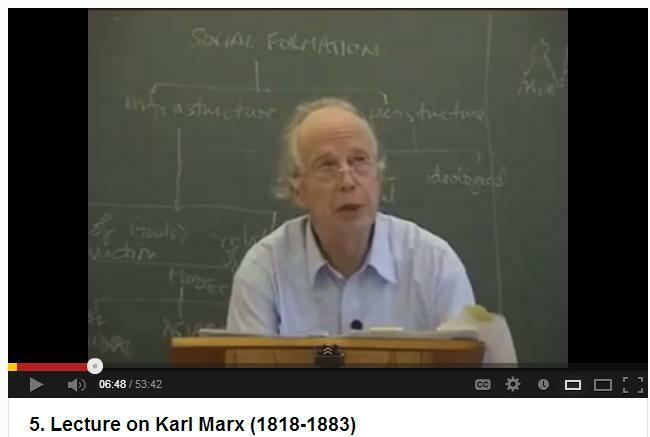 I had just finished lunch and decided I’d like to learn more about Karl Marx. So I opened up a new browser tab on my laptop and laid down in my bed. 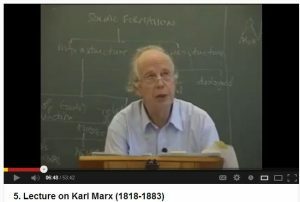 One of the top searches on YouTube was a lecture on Karl Marx by Professor Alan Macfarlane. I played the video and to my surprise woke up 40 minutes later with a small puddle of drool on my pillow. All I saw on my screen was a list of further suggested videos. Eureka! Prior to this I would try reading classic literature, preferably from the 19th and 18th century. Similar to the lectures, it was interesting enough to midly hold my attention yet just boring enough to put me to sleep. This is how I normally fall asleep most nights. The only challenge here is that it doesn’t work well when I need a nap because sometimes I have enough energy to let the story pique my interest. I am sure I am not alone when I admit that it is not easy for me to simply close my eyes and fall asleep. My mind is very similar to my desktop: it has about 50 tabs opened across 3 browser windows along with about 7 other programs running simultaneously. It’s not easy to simply click on Shut Down. To fall asleep at night, like I mentioned, I must read a mildly interesting book until my eyes close three times. Then I shut off the light and I am out. Although the studies are inconclusive, I personally find that naps help me to somewhat even the deficit when I don’t get enough sleep. Most nights I aim for 8 hours but this is not always the case. I like to go out on Thursday night and normally won’t get home until 2 or 3. This means that I’ll get less sleep when I wake up Friday morning. To even the score I’ll often take a 1 or 2 hour nap that Friday evening, especially when I plan on going out again. I know that this doesn’t “even the score” but it probably doesn’t hurt as I never have problems falling asleep that Friday night. Furthermore, by eating relatively healthy, I rarely find myself sick. Of course many factors can be at play, what works for me might not work for you. Finally, I do not wish for this post to be a personal attack on Mr. Macfarlane or to ensue that he is boring. In my defense I actually have listened to more than 10 of his lectures when I’ve not been trying to fall asleep. He’s inspired an interest in philosophy that I wish to explore in more detail. Even more compelling is that he’s helped me catch up on lost sleep which has improved my quality of life. To me this is a win-win.